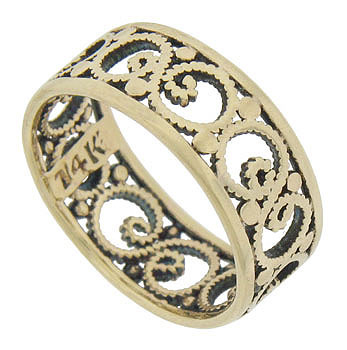 A graceful design of pressed milgrain curls around the center of this antique wedding ring. Strings of milgrain curl as romantic vines interrupted by large circles of gold. Simple rounded bands frame the elegant central design. 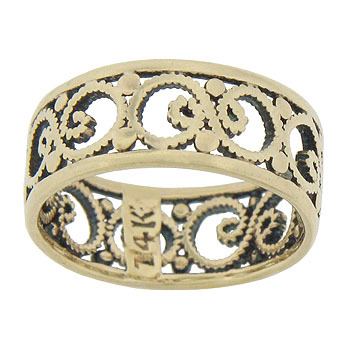 The Art Deco wedding band is crafted of 14K yellow gold and measures 6.78 mm in width. Circa: 1930. Size 4 1/2. We cannot re-size.